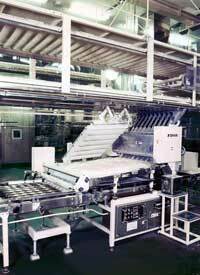 Products Line ['BUN' Line] | OSHIKIRI MACHINERY LTD. 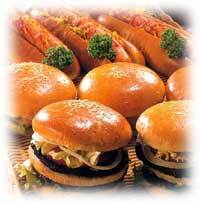 This is a special line for mass production of Hamburger Bun only. 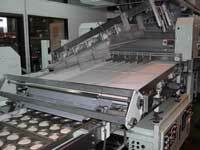 Produces high quality and uniform quality product. Dough pump feeds the dough dumped from a mixer. Dough flow breaks gluten in the dough and feeds the dough to Divider. 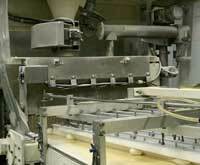 Adjusts the flow amount of dough and distributes the dough to each row. Rounds the dough in a perfect ball shape. Pivot-mounted rounder bar for easier maintenance. 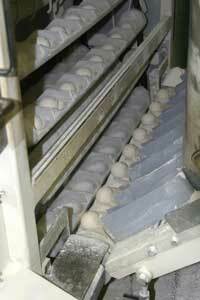 Rounded dough pieces are securely transferred to Proofer. From Moulder to Panner. 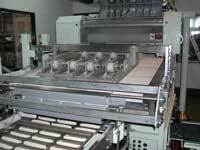 This machine is combinedly used for bun and roll. Strong air blow disperses the excess dusting flour. 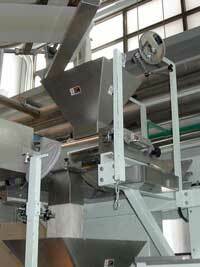 Dispersed flour at Proofer infeed are collected and recycled. Shakes the pan to put the dough in the center of mold.